A team of researchers at the Institut de Researches Cliniques de Montréal (IRCM) led by Michel Cayouette, PhD discovered that a protein found in the retina of the eye plays an essential role in the function and survival of light-sensing cells that are required for vision. These findings could have a significant impact on the understanding of retinal degenerative diseases that cause blindness. The study was published in Octoner 2014 in The Journal of Neuroscience. A release from IRCM explains that the researchers studied a process called compartmentalization, which establishes and maintains different compartments within a cell, each containing a specific set of proteins. This process is crucial for neurons (nerve cells) to function properly. 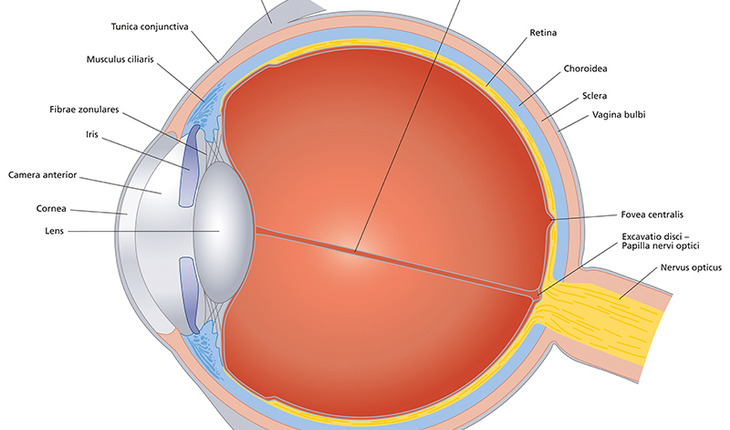 A good example of compartmentalization is observed in a specialized type of light-sensing neurons found in the retina, the photoreceptors, which are made up of different compartments containing specific proteins essential for vision. “We believe our results could eventually have a substantial impact on the development of treatments for retinal degenerative diseases, like retinitis pigmentosa and Leber’s congenital amaurosis, by providing novel drug targets to prevent photoreceptor degeneration,” concludes Dr. Cayouette. According to the Foundation Fighting Blindness Canada, millions of people in North America live with varying degrees of irreversible vision loss because they have an untreatable, degenerative eye disorder that affects the retina. Research aiming to better understand what causes vision loss could lead to preserving and restoring sight.